DB1 is rated 4.3 out of 5 by 7. Rated 3 out of 5 by AngleFish from Terrible ring notification Terrible ring notification. I got ring notification only 3 out of 37 times. The motion notification worked great. 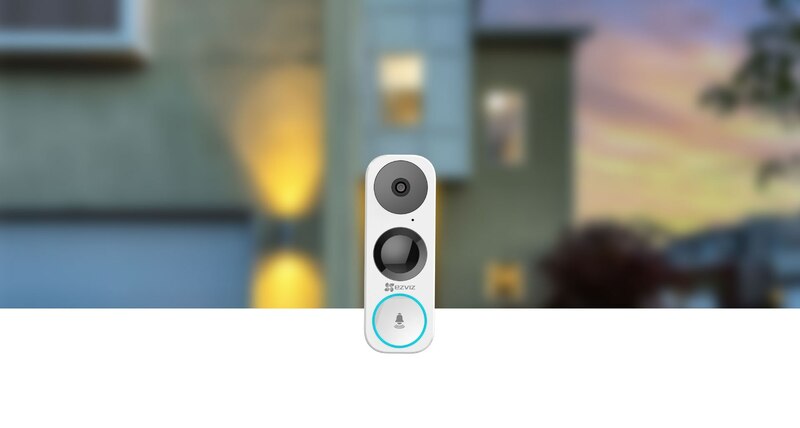 The build quality, camera field of view, installation options, and resolution are outstanding but what good is a doorbell camera if it doesn't notify you when someone actually rings your door? I tried everything - even upgraded my transformer *24V), my internet speed (XFinity Blast 180/9Mb down/up), and my WiFi Router (Netgear Orbi RBK50 with 2 satellites). I feel there is either a design flaw or the problem is in the Mobile App. I hope there is a firmware fix. Rated 4 out of 5 by Brandonk from Great Device and Easy to use. 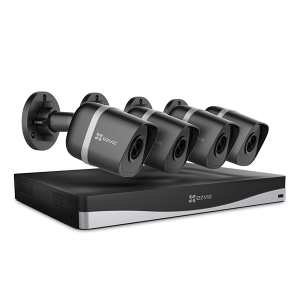 This is a great product overall with great features. The doorbell took about 20 mins to install inside and out. My old doorbell it hooked right up. My door is doorbell is in a weird spot and the added accessories for angle mount made it great in order to see a little more of the front door. Camera quality is great from standard to ultra HD. Two way audio is great feature. 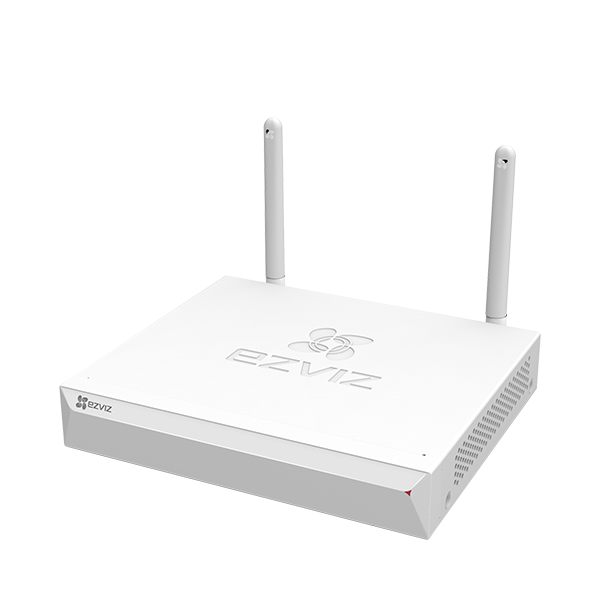 Able to use from 5ghz and 2.4 networks. 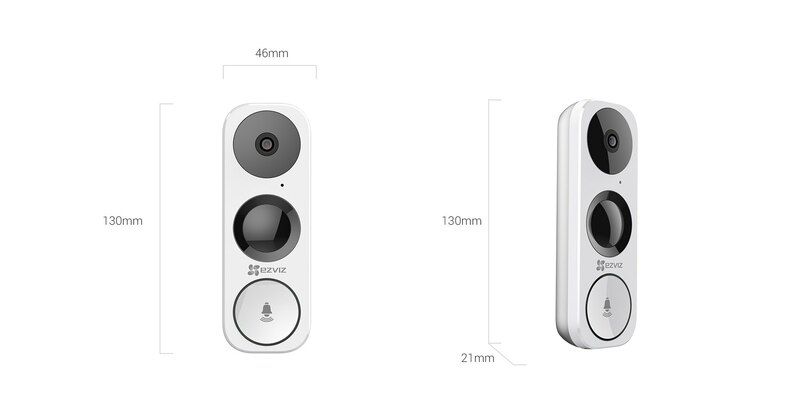 Overall I would recommend this to anyone looking for a video doorbell especially if you already have EZviz products. Rated 4 out of 5 by bcosp from Good addition to ezviz lineup This video doorbell accomplishes its purpose--alerting me about and then showing me visitors to my front door. The image quality is sufficient to make out a person's face if lighting is adequate and the subject isn't moving too quickly. My primary concern with the doorbell is its size...may not fit in every home. And, like many security cameras, motion notifications can be inconsistent depending on your personal setup. But in my experience that's part of owning a camera. 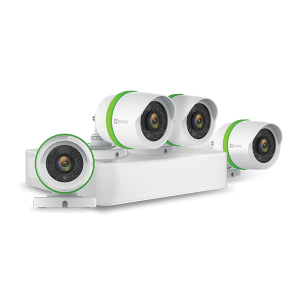 If you use other ezviz products, this is a good addition to help round out your home surveillance needs. Rated 5 out of 5 by vandura93 from Excellent Camera !! This is an Excellent door bell camera and allows you to see someone at the door and if you don't know them or can't get to the door it saves you the trouble of being disturbed and it adds a layer of security that i didn't have but surely needed and i'm Enjoying having this Excellent Product, Thank you very much !! Rated 5 out of 5 by Tabandjim from Simple install great features This is awesome, especially so close to Christmas! It was really simple to install with detailed instructions. The picture quality is really good, and you can talk back and forth. It works really well with my existing set up and cameras. After the install, the setup was easy. Had for about a month, love it!!!! Rated 5 out of 5 by revrick012 from Weel Built Housing is very sturdy and attractive. Looks like it will last a long time. 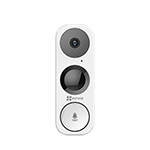 Rated 4 out of 5 by MikeB from My third EzViz camera Pro: 1. I also own a Mini O and a Mini Plus camera. It is very convenient to be able to view the DB1 using the same cell phone and/or PC App. All three of my cameras are accessible through both the cell phone and PC App. 2. 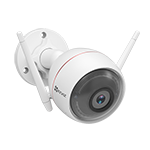 The DB1 supports both 2.4 GHz and 5 GHz Wi-Fi bands. My Mini O and Plus are 2.4 GHz only. 3. Resolution is very good, but be aware the DB1 has much more of a "fish eye" appearance due to its higher field of vision (then the Mini O and Plus). 4. Unlike the Mini O and Plus, the DB1 motion detection sensitivity has a nine point Area Grid (one at 5 feet, four at nine feet, and four at 16 feet). This allows you to filter out an area of the grid that may be causing false triggers. The Mini O and Plus have a single sensitivity setting, and no area grid. 5. The DB1 comes nicely packaged with three face plates (White, Black, and Brown), three base plates (flat, left/right leaning, and up/down leaning), and all the other mounting hardware. It even includes a drill bit and a two head screw driver. Con: 1. Switching between the cell phone App and PC App can be confusing. For example: (a) The smart phone App has three DB1 resolution settings (Standard, Hi-Def, and Ultra HD). 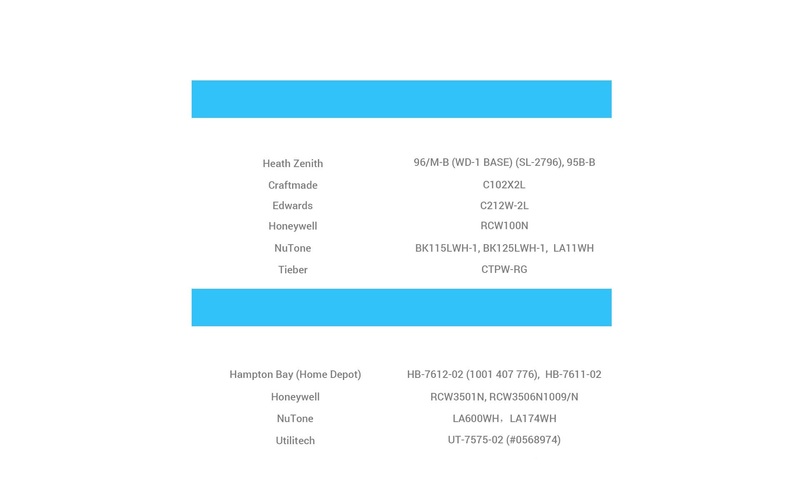 The PC App (Ezviz Studio 2.0.0) also has three resolution settings, but they are called (Basic, Balance, and Hi-Def). (b) There appears to be no way to set the DB1 into Ultra HD with the PC App, and the Basic setting is shaded out (i.e. can not be selected). (c) If you change the resolution setting with one App, and then view the resolution setting with the other App, the setting display isn't updated. 2. The Ezviz PC App (Ezviz Studio 2.0.0) displays the DB1 in Landscape mode (like my Mini O and Plus). The cell phone App displays all three cameras in Portrait mode, however when you rotate your cell phone 90 degrees the display changes to Landscape mode. My Mini O and Plus work as expected, however the DB1 (in Landscape mode) the left and right side of the image are blacked out. Other: Mounting the DB1 takes some effort. Installation requires removing your existing door bell push button, wiring up the DB1 in its place, and installing the included Power Kit on your existing door bell chime. The DB1 is powered from your existing door bell transformer (which are typically 16 volt AC). My DB1 works fine using my existing 16 volt (10 VA, volt-amp) transformer. Does the DB1 support LAN live view? Will this work with a Broan-NuTone doorbell model 973SB? Hi - first - love your products - already own 5 camera's. Question - Can I use the DB1 if I don't have a door bell? Yes and no. Wireless camera and doorbell rings on your phone but house ring is wired to outside doorbell. Can the DB1 save the video to NVR? Does the video record over existing videos once the SD card is full? And, approximately how many minutes of recording will be stored on a 128 SD card?